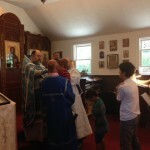 Following the Liturgy dismissal the Rector and the altar servers came out of the sanctuary and performed the rite of glorification in front of the icon of the Dormition. 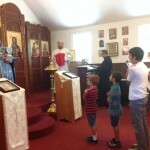 They have sung the troparion, kontakion and magnification of the feast. 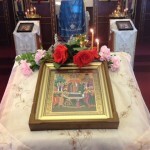 After the Liturgy dismissal the Rector reminded parishioners about the approaching great holy day of the Most Holy Mother of God – Her Dormition. 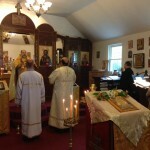 He called faithful to prepare for this feast and to attend the church on that important occasion. 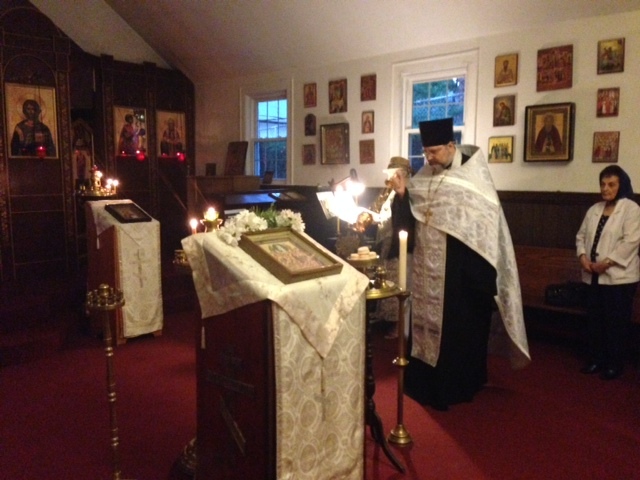 On August 18, Vigil of the Transfiguration of the Lord, St. George Church’s Rector, Archpriest Igor Tarasov served Great Vespers of the feast in our temple. 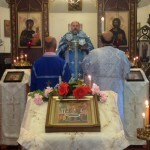 This service was scheduled instead of the festal Liturgy because our Rector was summoned to serve in St. Nicholas Cathedral. 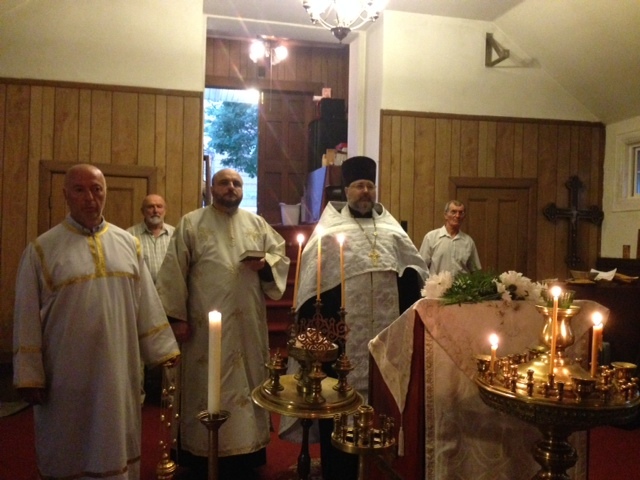 After the Vespers the Rector performed traditional blessing of fruits. 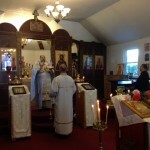 Next day, on the feast of Transfiguration of the Lord, Fr. 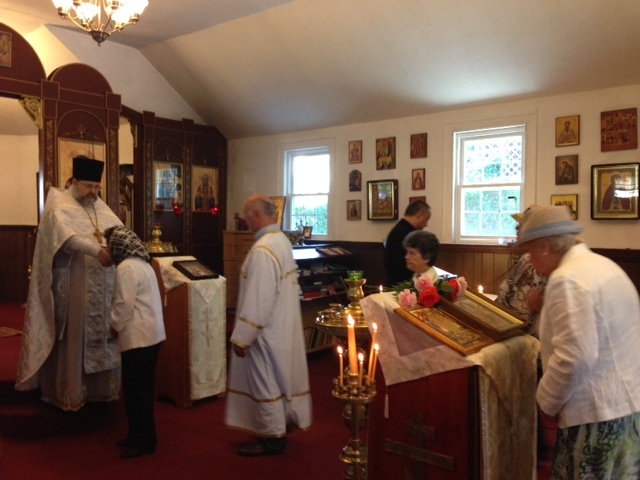 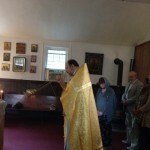 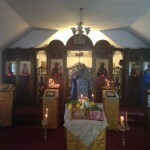 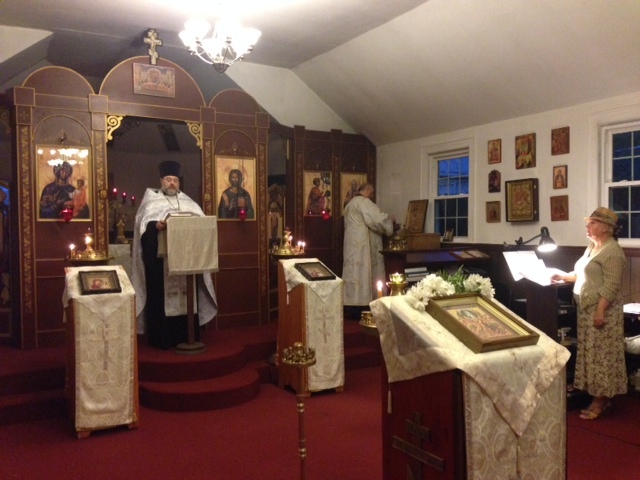 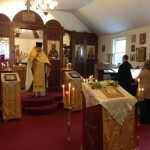 Igor celebrated the Divine Liturgy at St. Nicholas Cathedral. 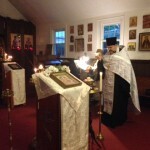 Following the Scripture readings he preached the same homily as at Vespers on the night before, but in the Russian language. 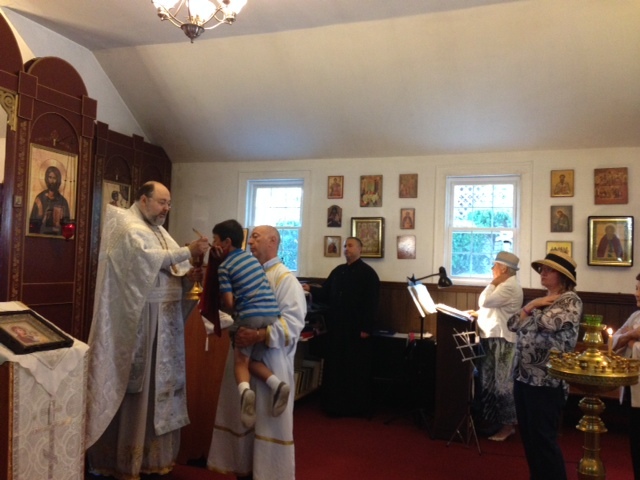 5 of our parishioners came to the Cathedral to participate in festal Liturgy. 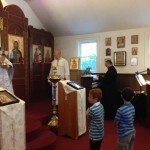 After the service Fr. 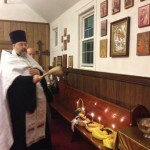 Igor blessed fruits for the multitudes of the Cathedral parishioners. 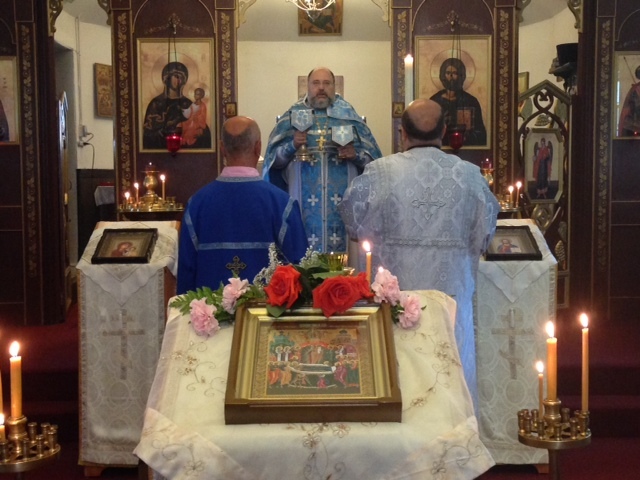 Our Rector and five our parishioners continued celebration of the feast having a luncheon at the nearby restaurant. 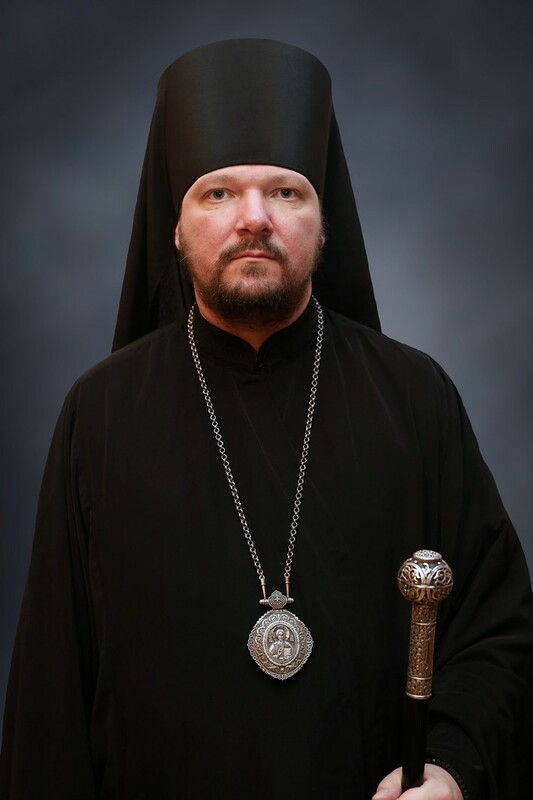 Due to the absence of some clergy in St. Nicholas Cathedral this week, our Rector, Archpriest Igor Tarasov is summoned to serve there. 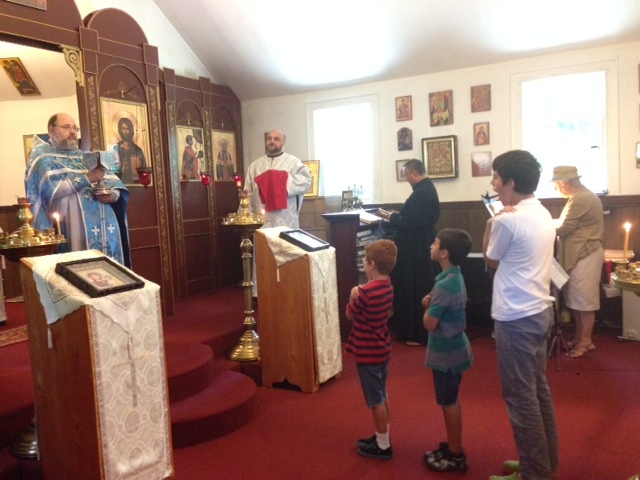 Therefore, there will be no service in our St. George Church on Sunday, August 17 and on Tuesday, August 19 (feast of the Transfiguration). 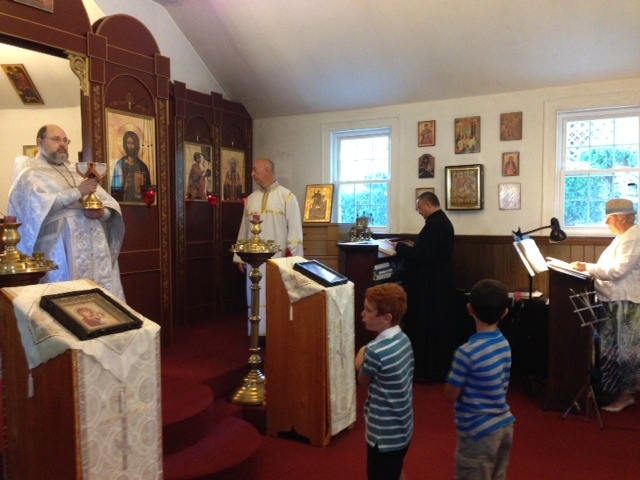 Instead, there will be Vespers of the feast served on the eve of the Transfiguration, August 18, at 7 pm. 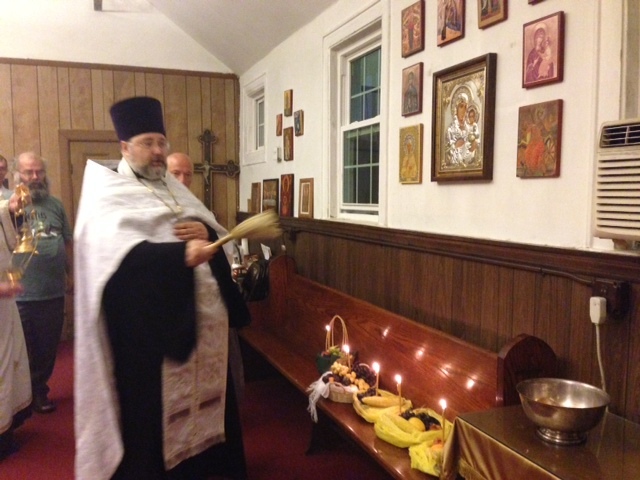 Vespers will be followed by the traditional blessing of fruits. 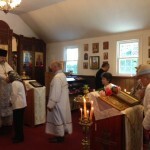 On Wednesday August 6, the new Administrator of the Patriarchal Parishes in the USA, His Grace John, Bishop of Naro-Fominsk, arrived in the United States. 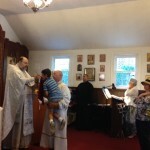 With the peal of bells and the traditional greeting of bread and salt, Bishop John entered St Nicholas Cathedral for the first time as a Bishop and presided at the Thanksgiving prayer service. 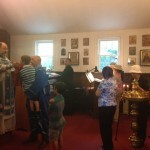 His Grace was co-served by the cathedral clergy and some priests from the Patriarchal Parishes. 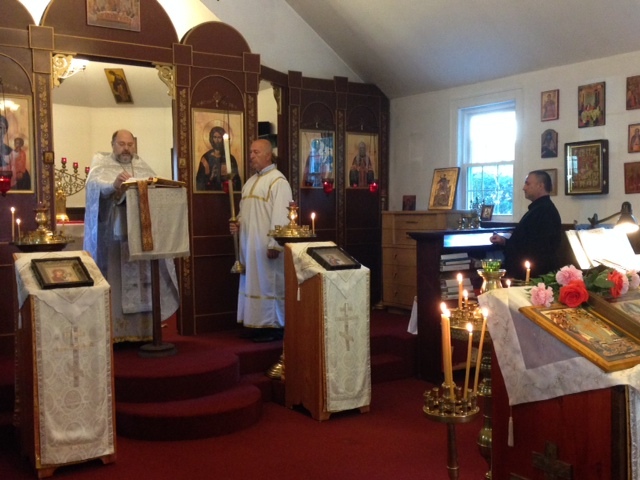 Representatives of the ROCOR were also present.At the conclusion of the prayer service, on behalf of the Patriarchal Parishes in the USA, Archpriest George Konyev greeted Bishop John and wished him God’s unending mercy and love in his archpastoral service in the United States. 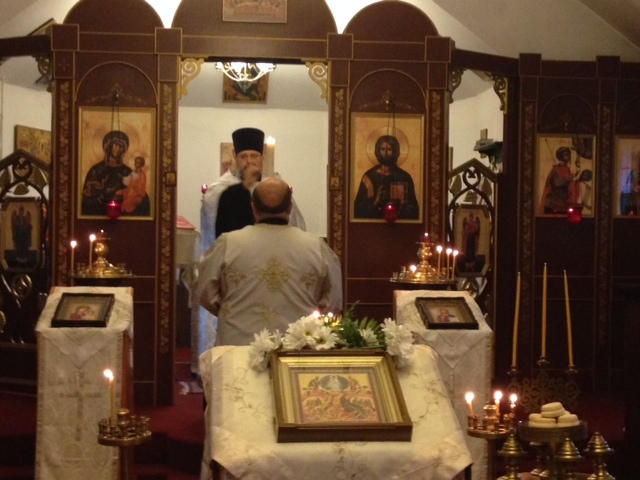 His Grace thanked all those gathered for their prayers. 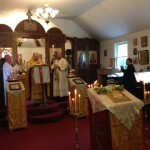 After the Liturgy dismissal the Rector reminded parishioners that on the coming week the Church will begin the Dormition fast. 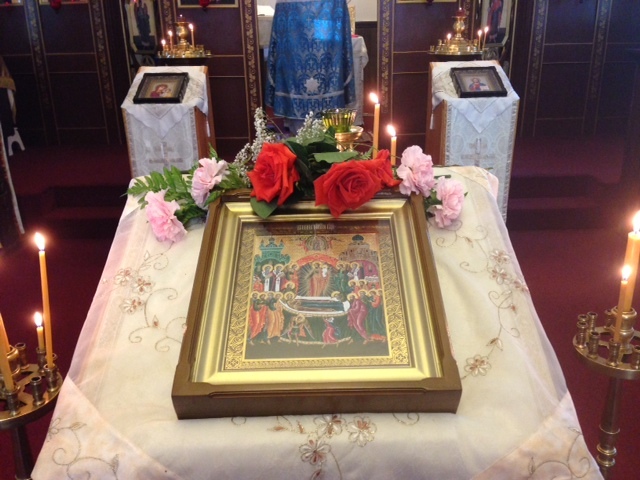 This two-week period is dedicated to the Most Holy Mother of God and has strict rules of fasting. Fr. 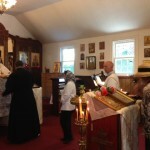 Igor called the faithful to observe that fast in honor of the Blessed Mother. 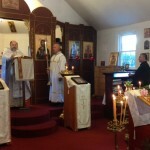 He also made a short speech about the Icon of Our Lady of Smolensk which was celebrated on that day. 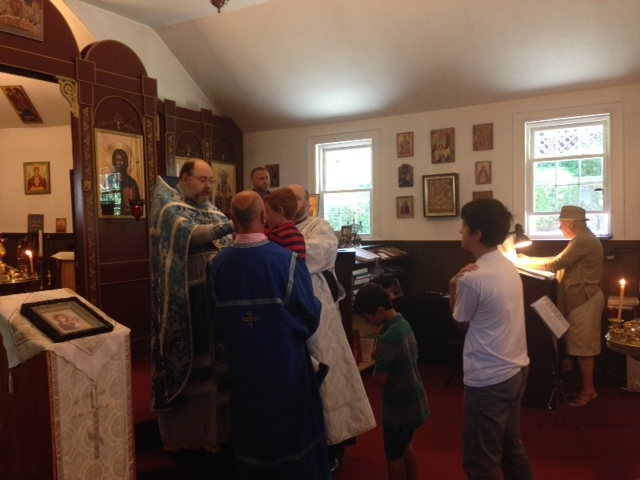 Following the Liturgy the Rector and parishioners enjoyed delicious meals and a nice company at the coffee hour. 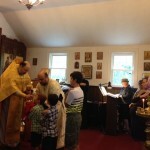 Right after the Liturgy dismissal the Rector greeted one of our little parishioners, Ilia Kay on the occasion of his past name day and wished him God’s help and intercession of the Holy Prophet Elias in his small but important affairs of learning, helping his parents and being a good Orthodox Christian. 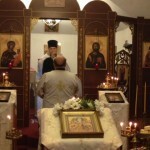 Traditional “Mnogaya leta” was proclaimed. 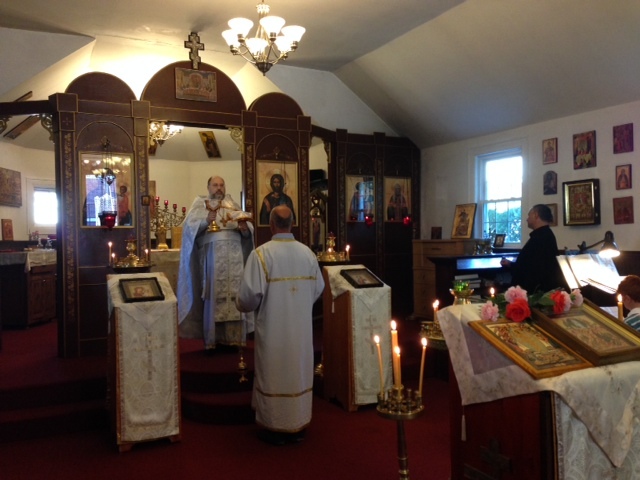 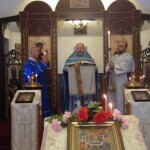 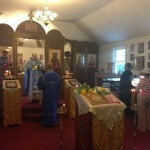 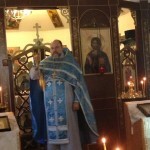 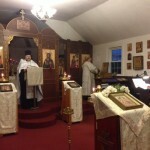 On Saturday, August 2, the feast of the Holy Prophet Elias, His Eminence Justinian, Archbishop of Elista and Kalmykia celebrated his farewell Divine Liturgy with clergy of the Patriarchal Parishes in the USA at St. Nicholas Cathedral in New York His Eminence was co-served by His Grace, Bishop Jerome (Shaw, Retired-ROCOR) and a multitude of clergy from our Patriarchal Parishes, including St. George Church’s Rector, Archpriest Igor Tarasov. 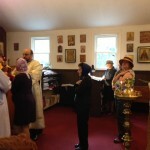 Some clergy from the Russian Church Outside of Russia served as well. 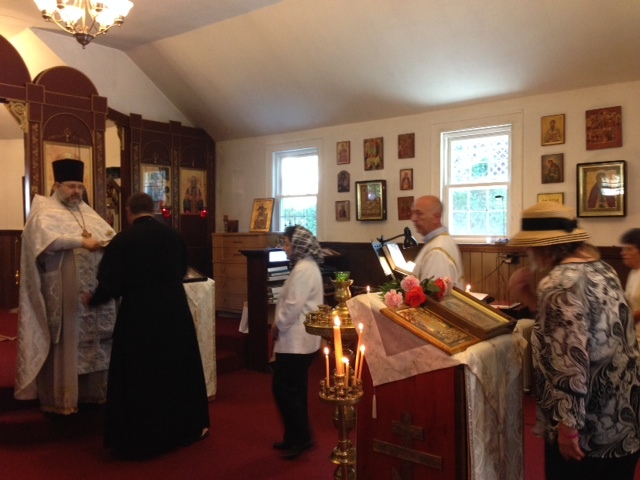 At the end of the Liturgy, Archbishop Justinian greeted the gathered clergy and expressed his gratitude to all those who traveled near and far to wish him many years in his new Eparchy. His Eminence explained the decision of the Holy Synod to transfer him and assured everyone of his Archpastoral Prayers and lovely memory. 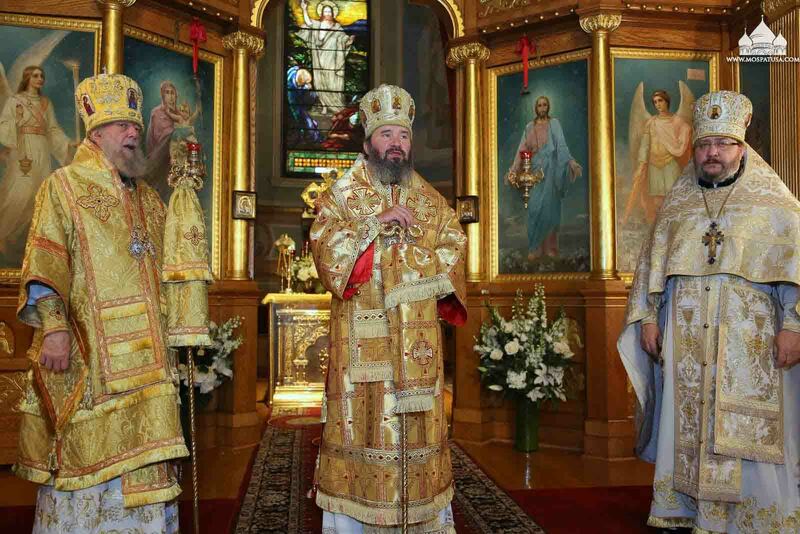 On behalf of all the clergy of the Patriarchal Parishes, Archpriest Emil Minkovich expressed gratitude to Archbishop Justinian for his love, support and prayers to each clergyman and layperson in his four-year tenure as Administrator. 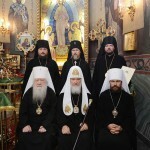 Interaction between the Archbishop and the clergy continued in the Hall of St. Nicholas Cathedral. 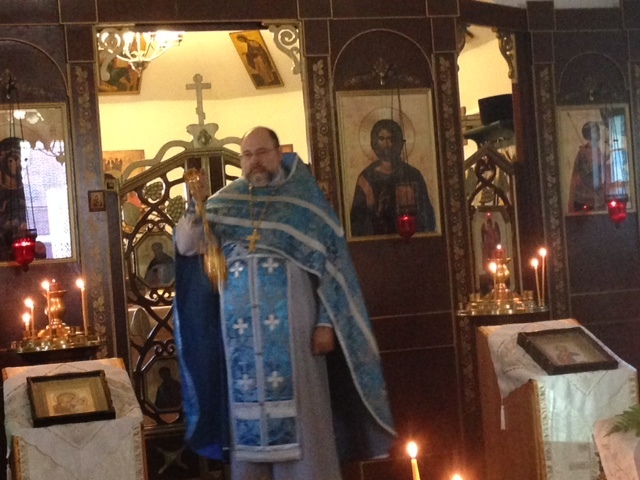 At the farewell luncheon, our Rector, Fr. 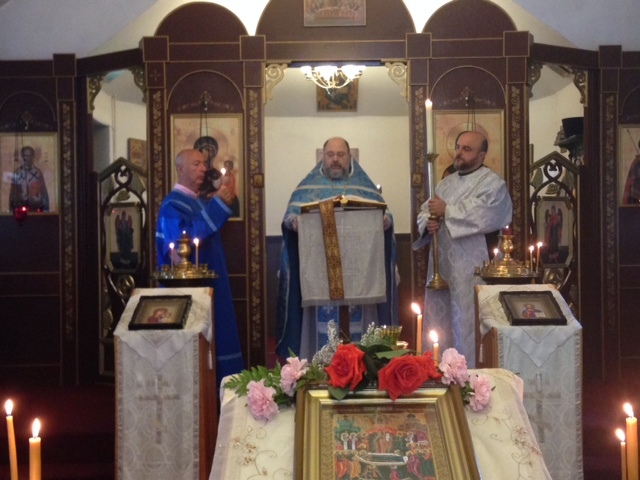 Igor toasted in honor of His Eminence and expressed gratitude on behalf of the clergy and parishioners for the loving and dedicated Archpastoral care of Archbishop Justinian during his four-year service as our spiritual leader. 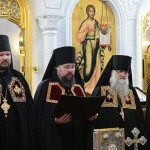 On Wednesday, July 30, at the Patriarchal Residence in Danilov Monastery in Moscow, His Holiness Kirill, the Patriarch of Moscow and of All Rus’ led the Rite of Nomination of Archimandrite John (Roschin) as Bishop of Naro-Fominsk, Vicar of the Moscow Eparchy and Administrator of the Patriarchal Parishes in the USA. 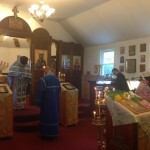 On Friday, August 1, on the feat of the Uncovering of relics of St. Seraphim of Sarov, His Holiness, Patriarch Kirill served the Divine Liturgy at St. George Church on the “Poklonnaya” Hill in Moscow. 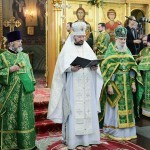 During the Divine Liturgy Patriarch Kirill led the Episcopal consecration of Archimandrite John (Roshchin) as Bishop of Naro-Fominsk. 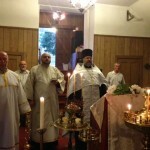 Several other bishops participated in the consecration. 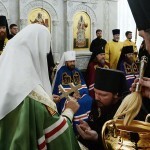 At the conclusion of the Divine Liturgy, Patriarch Kirill delivered the Archpastoral staff to His Grace, Bishop John, who then subsequently blessed the faithful for the first time.